This module facilitates wifi (IEEE:802.11) data exchange with the ultrasonic positioning device hx7tr. It plugs into the hx7tr hardware stack and overtakes the internal single pin bidirectional communication line. It doesn't effect the hx7tr USART TTL so hardwired devices still have unhindered access. 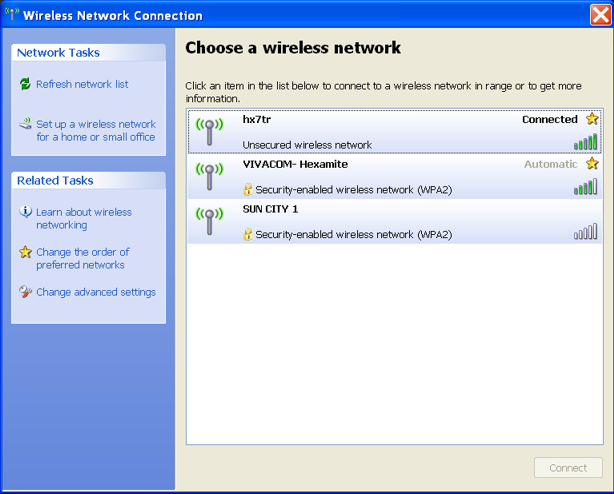 Both the USART and the WiFi have simultanious access to the hx7tr network. 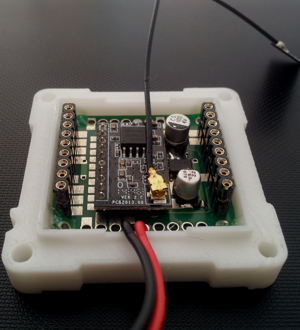 Using this module ultrasonic positioning enters the realm of internet of things. 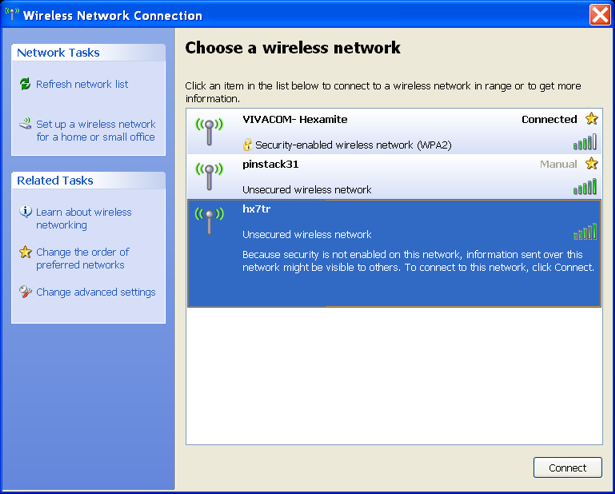 Below is an xp example, this is no different from logging into a hotspot using any operating system. Once logged into the hx7tr the user has full command access to all hx7tr units in range. The hx7tr software bundle gives the user a transparent dialog with the hx7tr, the software is open source and simple in case the user wants to write code.